Return Point: Victoria Station and Waterloo Station. As twilight descends on London and the capital’s most iconic landmarks are lit up against the backdrop of the night sky, you’ll be driven through the heart of London. 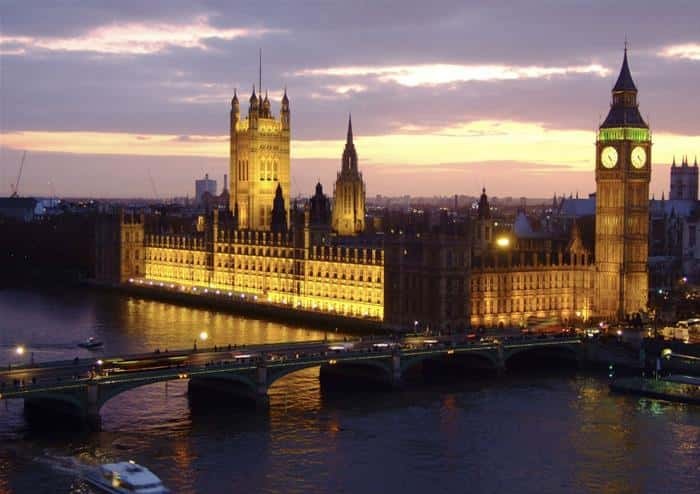 Soak in panoramic sights of the city’s historic buildings including the famous Westminster Abbey, the Houses of Parliament, the formidable Tower of London, the golden gates of Buckingham Palace and many more. 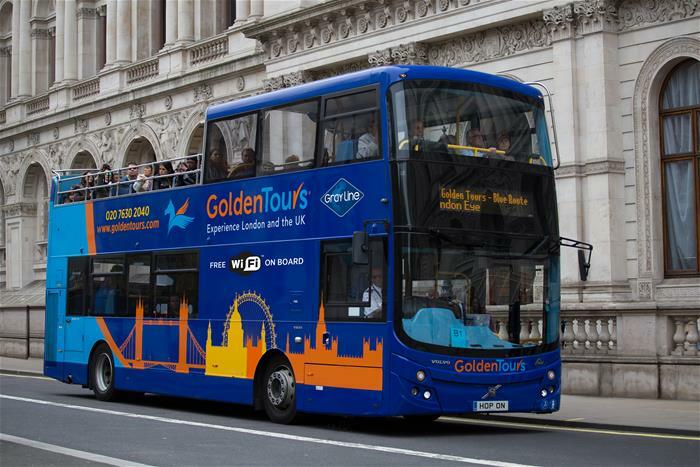 Glide past one of London’s most breathtaking landmarks, St Paul’s Cathedral, and be taken through many of the city’s most famous locations including Piccadilly Circus, Trafalgar Square and the financial district of the city. 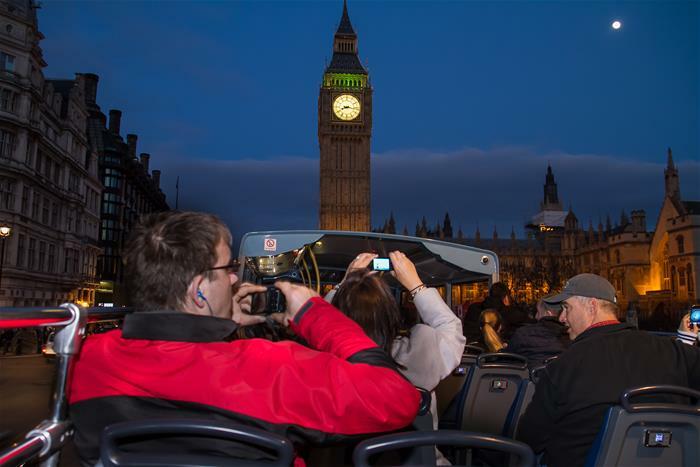 Throughout your night-time adventure, you’ll get to discover more about this world-renowned capital’s history with onboard audio commentary throughout. 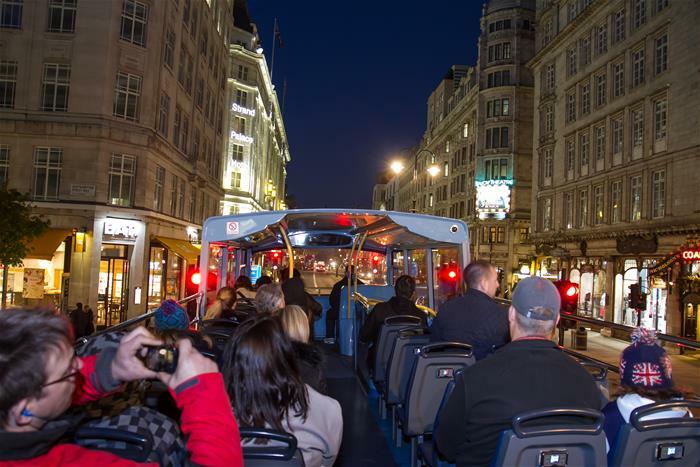 This unmissable tour brings the very best of London to life at dusk! Please note: You cannot hop on hop off on this tour. This incredibly wide-ranging and exceptional value-for-money London tour encompasses the very best of London’s attractions in one day. See the Changing of the Guard at Buckingham Palace, gain entry to the eminent Tower of London and St Paul’s, embark upon a London Eye experience – and much more.